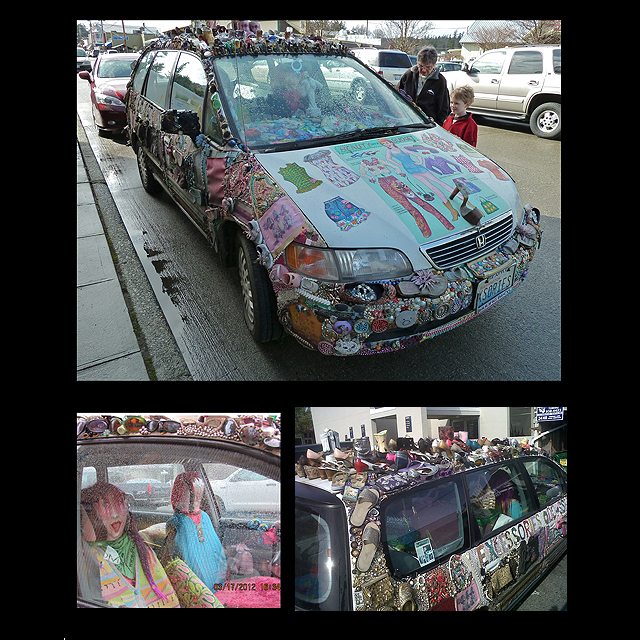 This is my new ArtCar! 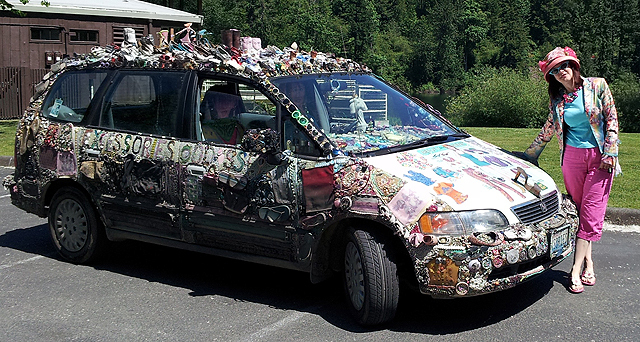 This van is a reflection of my love of fashion, I’m known for a flamboyant sense of style & having fun with my wardrobe, especially in grey Seattle where I desperately want to see more colour. 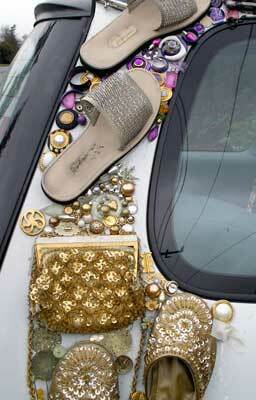 The car is covered with women’s accessories: shoes, purses, belts, jewelry. 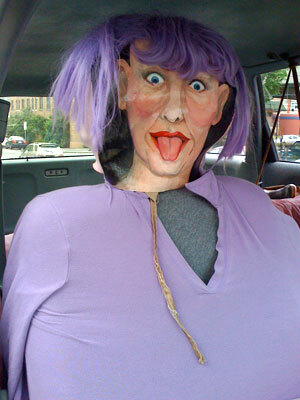 The hood is a giant paper-doll with magnetic outfits of my own clothes. 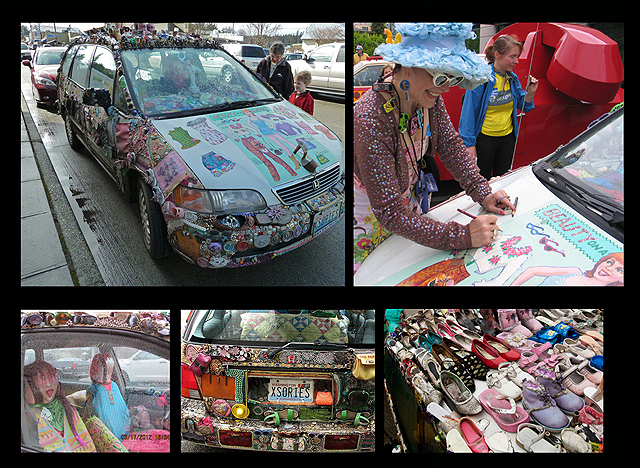 The dashboard is tiny doll clothes with all the matching accessories.